Sophie Crafts of Northampton at the Squeeze Box Slam in Davis Square. The Nave Gallery and the Somerville Arts Council hosted the Squeeze Box Slam at Seven Hills Park in Davis Square over the weekend. 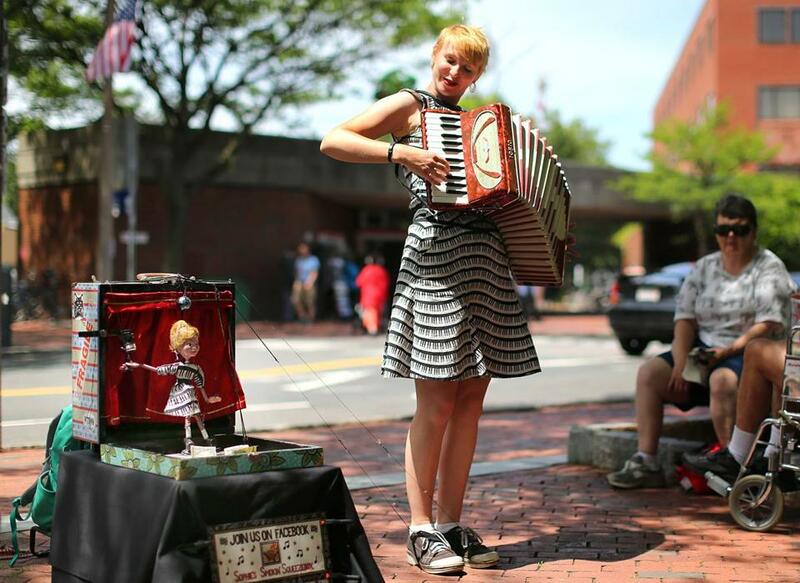 Musicians who participated in the “Accordion Anarchy” portion included Sophie Crafts from Northampton, who operated her puppet, Sylvie, with a string tied to her foot.